Kanye West has been making headlines recently with his tweets. From saying he’ll win 100 grammys in his lifetime to asking Mark Zuckerberg for a $1b investment in his ideas, to bashing sister-in-law for signing a deal with Puma and beefing Wiz Khalifa. 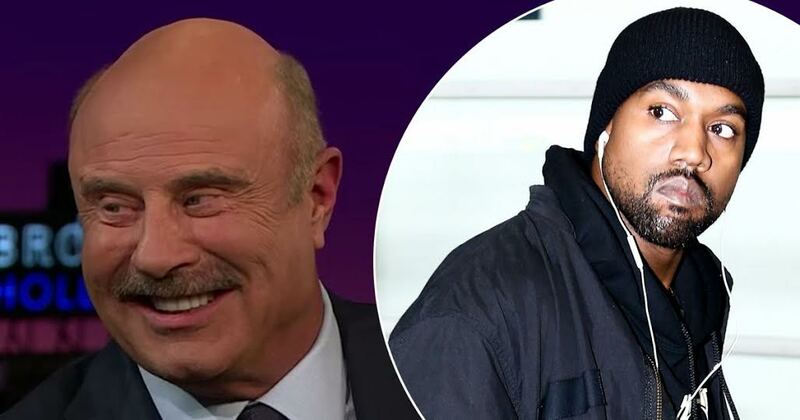 In a recent appearance on The Late Show with James Corden, US TV personality, and psychologist, Dr Phil said that West’s antics reflect what’s going on in the society. Dr. Phil uses the example of someone posting about brushing his teeth as information that does not need to be shared with the world, but has become acceptable this age. Another guest on the show, Bow Wow, didn’t think there’s anything wrong with the Chicago rapper’s behavior.